This dataset describes the Release File structure of SNOMED CT, referred to as Release Format 2 (RF2). The US Edition of SNOMED CT is the official source of SNOMED CT for use in US healthcare systems. The US Edition is a standalone release that combines the content of both the US Extension and the International release of SNOMED CT. The Relationship file holds one relationship per row. Each relationship is of a particular type, and has a source concept and a destination concept. In addition to 623 new concepts specific for the US, the September 2018 SNOMED CT US Edition also contains all of the content from the July 2018 SNOMED CT International Edition. Approximately 543 requests for terminology additions and updates were submitted via the US Content Request System (US CRS) to support US clinical health information data exchange. 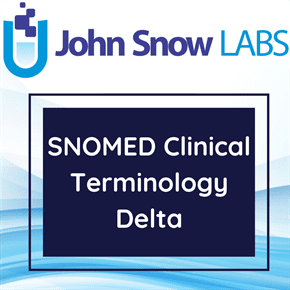 This latest version of the US Edition also includes the SNOMED CT to ICD-10-CM reference set, with over 123,000 SNOMED CT source concepts mapped to ICD-10-CM targets.